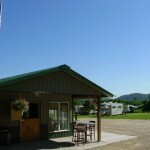 Sleepy Hollow Campground is located in beautiful Eagle Valley, near Fountain City, WI with extra large pull-thru sites featuring full hookups, including water, electric, and sewer. 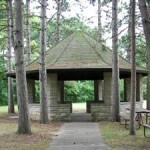 We also have cabin rentals, tent sites and hike-in primitive camping sites. We have an office store for all your camping supplies and private showers and washers and dryers.. Campers enjoy access to our Eagle Valley Trails offering miles of hiking trails and hike-in primitive camping sites as well as access to Eagle Valley Creek for tubing and fishing.